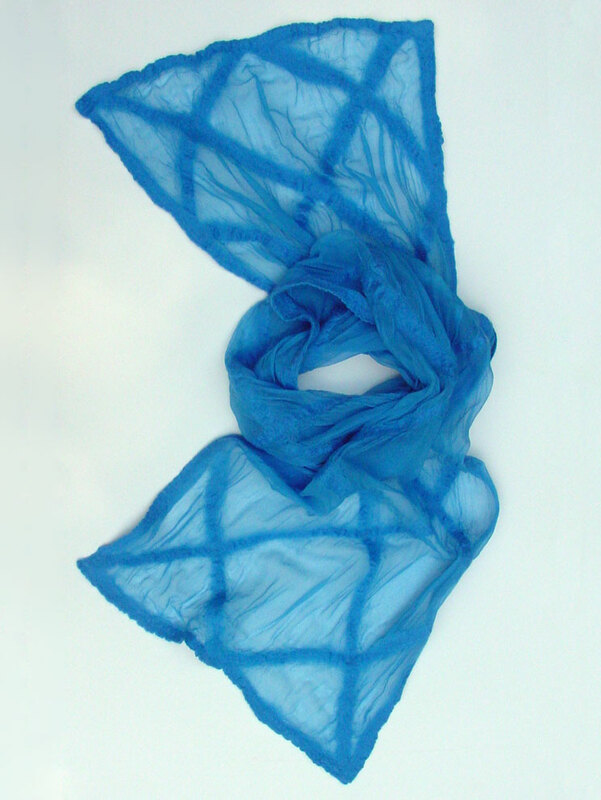 This scarf was made by laying long thin strips of roving in a crisscross pattern on a gauze scarf to create a diamond grid. For this scarf, long thin strips of roving were also placed along the edges of the scarf. The scarf was felted with a sander and fulled with a controlled approach of folding and dropping. Variations include varying the width of the roving strips and the size of the grid pattern. More pronounced gathers are created in the felting process when a smaller grid pattern is used.